Masthead Studios announced today new arena is out in their free to play online shooter Guns and Robots, called “Hellfire”. 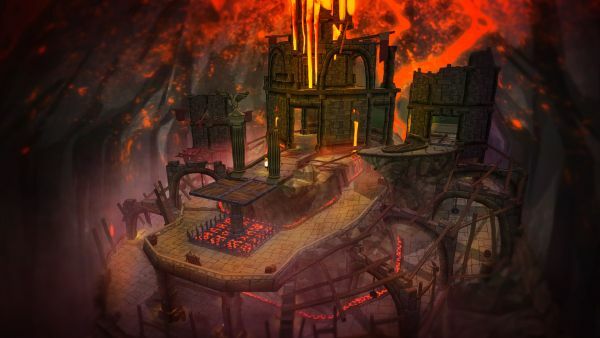 As its name suggests, “Hellfire” is subterranean dungeon maze with new setting for players to explore. The map is suited for all available game modes and is very action-oriented due to small underground corridors. At the same time it retains the strategic element of the game due to multiple options for players to plant special devices all over the map. The map has nicely added lava pits and ruins alternating with some scary scenery that robots cannot cross over. The two towers in the center of the map mark the spawning points and lead players towards multiple maze like corridors and platforms to go up and down the map. “Hellfire” is another addition to the selection of map options in the game and a whole new territory for players to test their skills. All players are welcomed to join in the Official Forum discussion and give their opinion, share fresh ideas for new maps and vote for their favorite arena. Gear up and head out to the action at play-gar.com!